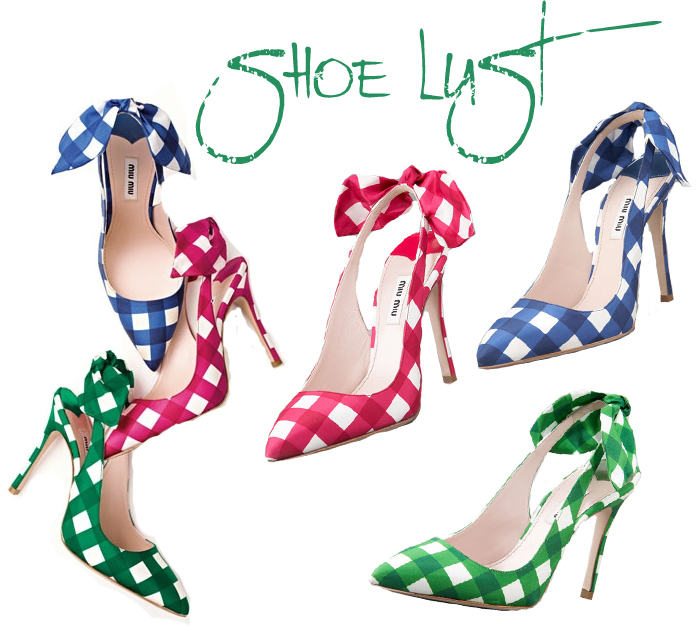 This week I leave you with my latest shoe obsession, the Miu Miu gingham slingback pumps with a bow. Cute, cuter, cutest. Which color is your favorite? Click here to shop this gorgeous heel.